Known for its mild year round climate, beautiful beaches, and excellent economy, San Diego is a city beloved by its residents and visitors. They love everything about the city, from its beer and scenic views to the food, parks, and even public transportation. 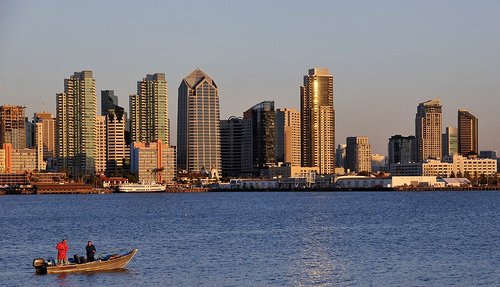 San Diego has been recognized broadly for its excellence. Forbes named it one of the best cities to start a business, and WalletHub ranked San Diego sixth in its best large cities in which to live survey. San Diego is also among America’s coolest cities based on access to entertainment, foodie culture, and recreational amenities. As such a great place to live, San Diego’s housing market is known for its fierce competition. In fact, San Diego was the sixth hottest market in the united states in December 2015. Buyers often have to submit competitive offers on homes before they’ve even hit the market. In San Diego, it truly pays to have an experienced, well connected real estate agent on your side to help you find the best homes available — or get the best price for selling your current home. We’ve found the 15 best real estate agents in the San Diego area. These agents are experienced, connected, and dedicated to top notch customer service. They are listed without ranking order, because we want you to tell us which one is the best! Simply vote in our poll at the end of the article to let us know which San Diego Realtor is the absolute best in the city. And don’t wait, as the poll will close in 30 days! Owner of the top producing Dean Aguilar Group, Dean Aguilar is a Realtor with more than 16 years of experience. He is a native of San Diego, and is noted for his honesty, fairness, and follow through. His areas of expertise are in market area knowledge, buyer programs, staging, and serving first time home buyers, military, sellers, and luxury marketing. Aguilar holds the Certified Negotiation Expert designation. He has been recognized as the leading Military Relocation Specialist for San Diego every year since 2012, and has won the BBB Customer Satisfaction Award for the same time period. He was also featured on the House Hunters TV show in 2014, and recognized as the #1 luxury marketing specialist in 2013 by Realtor Magazine. Clients say he is highly professional, relentless, and fights hard to get them what they need. They love his good natured personality, experience, and ability to serve them as a relocation specialist. 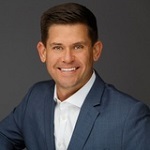 Broker and CEO of San Diego Real Estate & Investments, Kurt Wannebo is known as “Broker Kurt.” He has more than 12 years of experience in real estate, and he is among the top 1% of real estate agents in San Diego County. His team closes and sells hundreds of homes each year. He’s been recognized among the Wall Street Journal‘s Top 250 Agents, and ranked #1 in San Diego for agent team transactions. 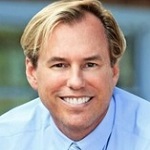 He has also been featured in the San Diego Union Tribune and TV news articles, webcasts, and more as a real estate expert. Wannebo’s clients say he keeps all of his promises, is extremely competent and professional, and displays an excellent level of industry expertise and market knowledge. 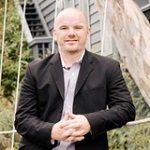 Matt O’Brien takes a client first approach to real estate. He has more than 16 years of experience, and has helped more than 2,500 families as a full time Realtor. It’s important to him that he keeps his word and safeguards the interests of his clients. He does this with his strong knowledge of the principles, practices, and procedures of real estate with his skills as a strong negotiator and driven personality. O’Brien thrives on happy clients, and is passionate about helping others achieve their goals in real estate. Clients say he is dedicated, hard working, and has great knowledge and experience. They enjoy his solid advice and counsel on all aspects of home sales and buying. 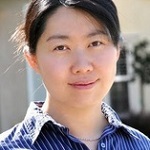 Connie Zhao is an independent real estate broker with more than nine years of experience. She has a background in engineering and accounting that gives her a highly informed perspective on the real estate market, and she keeps both herself and her clients informed on the San Diego real estate market as an active blogger. Zhao specializes in the Carmel Valley and 4S Ranch, and sells both resale homes and new homes with Pardee, Pulte, and William Lions. Zhao’s clients say she has extensive knowledge of the local market, excellent patience, and expertise. They love her negotiation skills, as well as her ability to work quickly to meet their needs. Gregg Whitney is the owner of Billionaires Row, a luxury real estate company. He has nearly 30 years of experience in real estate, and leads a dedicated team of real estate professionals. Whitney understands how serious his responsibility to his clients is as they make important decisions in their lives. With an energetic, confident approach, he’s ready to serve clients as a buyer’s agent and listing agent, as well as in relocations and short sales. Clients say Gregg and his team are true professionals throughout the process. They appreciate how hard he works to find them the perfect deal, and love the way he keeps them constantly updated and in the loop. 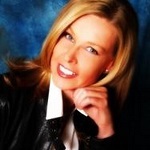 Tami Fuller is a highly experienced San Diego Realtor with an efficient, productive office. She has more than 28 years of experience in real estate and boasts a top notch team offering full real estate services. Fuller is known as energetic, creative, and passionate, and her process for every real estate transaction is thorough and well informed. She places great emphasis on her knowledge and training to make sure she is offering the best possible service to her clients. Her clients point to her professionalism, knowledge, and tenacity as the key to her success. They also note that her attention to detail is top notch, and she delivers well on the bottom line. 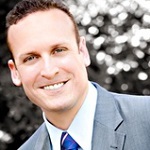 Jeff Grant is the principal broker and owner of San & Sea Investments in San Diego. He is committed to excellence with his vast experience and premium customer service. Thanks to his excellent work, he has been recognized by the Union Tribune as one of San Diego’s best agents, and has been featured in a number of media outlets including HGTV and CNN as a real estate expert. His team’s success is built on their experience, reputation, and integrity with comprehensive marketing, expert certifications, and continued growth. Grant is active in the San Diego community through the Century Club of San Diego, The San Diego Nice Guys, and the Boys & Girls Club of San Dieguito. Clients point to his accessibility, responsiveness, and responsibility as particular strengths, and say they feel at ease with his expert negotiation and documentation throughout the process. A real estate agent with more than 12 years of experience, Mary McTernan specializes as a listing agent in San Diego. Her areas of interest are in North Park, South Park, University Heights, Normal Heights, and the Mission Hills. She puts a lot of effort into preparing homes for sale before they hit the market, and as a result, her homes often sell faster than the competition. Clients love the personal attention they receive from McTernan, as well as the seamless service, excellent marketing, and optimized selling price. 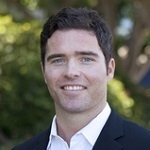 Leader of The Ruhl Team, Brian Ruhl has excellent experience, particularly in the distressed market of San Diego. His team averages 90 transactions per year, many of them in short sales, which he has handled since 2006. Ruhl also works with investment properties and traditional equity sales. 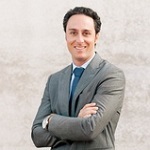 He boasts experience and insider knowledge that can help his clients get their deals done in a satisfactory manner. His clients say he guides them through the process professional, keeps them up to date, and makes the entire experience stress free. Even when snags come up, Ruhl handles them expertly and communicates well. 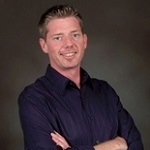 Owner of Filkey & Associates Real Estate, Gabriel Filkey has more than 11 years of experience as a Realtor. A high standard of client service is important to Filkey, and each member of his team is passionate about serving clients. He serves clients buying, selling, investing, and flipping homes. Filkey boasts a team of staging and sales professionals to prepare homes for the market, and excellent negotiation skills, perseverance, and a well connected network within the real estate community for buyers seeking homes. Often, he is able to find off market homes to give his clients an edge in the competitive San Diego market. His clients say he is responsive and able to act quickly, exceeding their expectations. They love how he walks them through every stage of the transaction, and point to his negotiation skills as a particular strength. Daniel Beer is the Executive Director of the Daniel Beer Group, and has more than 11 years of experience in real estate. He is highly productive, with more than $110 million in sales in 2015 alone. Using a unique strategy, Beer is able to sell homes for his clients quickly and for more money. Buyers working with Beer’s team enjoy agents that dig deep to find the right property — even if they’re not currently on the market. Clients say Dan and his team are professional, knowledgeable, and responsive with a great work ethic. Every transaction with Beer is seamless and effortless. Linda Pasas is a Realtor and broker with more than 25 years of experience. She is a native of San Diego, and is the owner of Pasas Properties. She has an insider knowledge of the entire San Diego region, particularly Point Loma and Ocean Beach. Pasas specializes as an REO agent, in short sales, and with investors flipping homes. She’s sold more than 1,600 homes in her career, and enjoys offering knowledge and support to each of her clients. Pasas’ real estate designations include Accredited Buyers Representative, Certified Distressed Property Expert, Risk Management Specialist, Certified Residential Specialist, and Senior Real Estate Specialist. Clients say that working with Pasas and her team is a pleasure, as she handles every issue with professionalism and excellent communication. They appreciate her patience and persistence, and her ability to quickly respond to requests. Betsy Heller is the founder of Achievers Realty. She has more than 26 years of experience, and serves as a friend and adviser to her clients as they achieve their home and investment goals. Heller specializes in residential real estate, investments, land sales, commercial real estate, short sales, foreclosures, multi-family residential real estate, 1031s and equity exchanges. She maintains exceptional representation as a seasoned negotiator, and has successfully maintained a 2% sales price advantage over the marketplace. Heller’s clients say they’ve had great experiences with her. They find her to be knowledgeable, easy to communicate with, and supportive every step of the way. Her attention to detail and expertise puts them at ease. 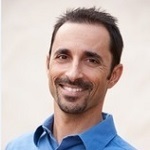 David “Diamond Dave” Demangos is a San Diego real estate expert with more than eight years of experience. He offers exceptional client service, limitless reach, and excellent marketing, particularly in luxury and international properties. 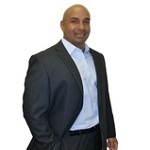 Demangos is tenacious, goal driven, and dedicated to supporting his clients in real estate. His clients say he surpasses their expectations as he genuinely cares for them and negotiates on their behalf. They appreciate how much he goes above and beyond to get their deals completed. 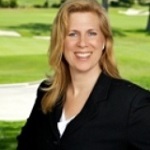 Jennifer Ball is dedicated to being a real estate broker clients can count on. Customer service is at the forefront of her business, and she is happy to spend the time she needs to get results for her clients. Ball specializes in creating custom strategies for each individual situation. She is known as an agent who communicates well and offers exceptional knowledge and confidence to her clients. Her clients appreciate her excellent advice and availability. They point to her willingness to educate them and top notch negotiating skills as some of her greatest strengths as a Realtor.